Recently retiring from my career as a 747-400 captain, instructor, and lead line check pilot has given me the time to focus on my passion for model building, which I began as a boy. 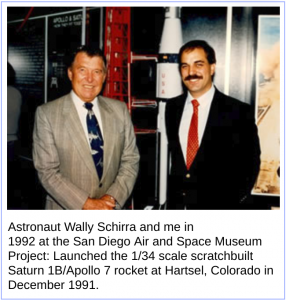 I have been honored to have my aviation and space models displayed in many museums including the Smithsonian’s National Air and Space Museum, the Seattle Museum of Flight, and the National Naval Aviation Museum as well as several others around the country, and globe. 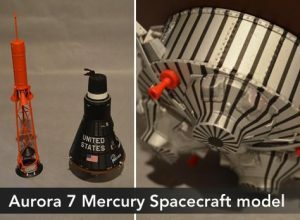 Most of my aviation and space models are unique, scratchbuilt custom ordered models. 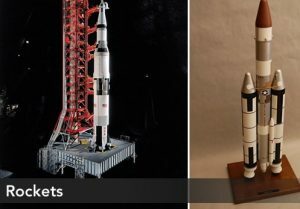 I welcome inquiries from businesses, museums, and individuals to create the custom vision for your own unique model replica. You can be assured that yours will be a work of art-a custom built aircraft, spacecraft, rocket, or satellite model that is unparalleled. Regarding flyable radio controlled models, I generally don’t build those, but can detail,paint, and finish them to the highest order. Please visit the albums on my site to see examples of my work and contact me with any inquiries. Installed WWII Scouting Forces Exhibit in the Mighty Eighth Air Force Museum in Savannah, GA. Scale model of the Apollo 11 Saturn V rocket for the upcoming Destination: Moon traveling exhibit. Fabricated replica EVA antenna, EVA antenna stowage basket, vent cover, and flag carrier for LM-2 Lunar Module at the National Air and Space Museum in Washington, DC. 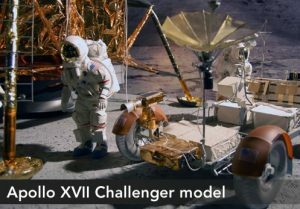 The lander was recently restored to look like the Apollo 11 Eagle spacecraft in diorama form on the moon. It was moved to “center stage” as part of the renovated Milestones of Flight Gallery project. 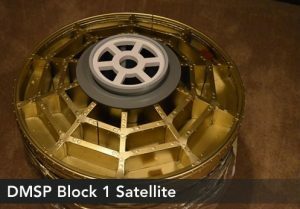 I was on the restoration team for this project, and was also on the team in 2009 for a previous restoration of the lander. 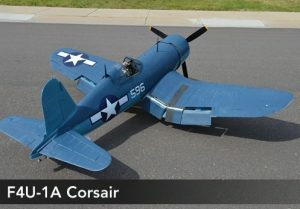 I welcome inquiries from businesses, museums, and individuals to create the custom vision for your own unique model replica. You can be assured that yours will be a work of art-a custom built aircraft, spacecraft, rocket, or satellite model that is unparalleled. Regarding flyable radio controlled models, I generally do not build them, but can detail, paint, and finish them to the highest order.